Eva Zillén was one of the women who started the Kvinna till Kvinna Foundation. Today, she still works for the organisation. She talks about how everything started 25 years ago, and where the organisation’s name comes from. 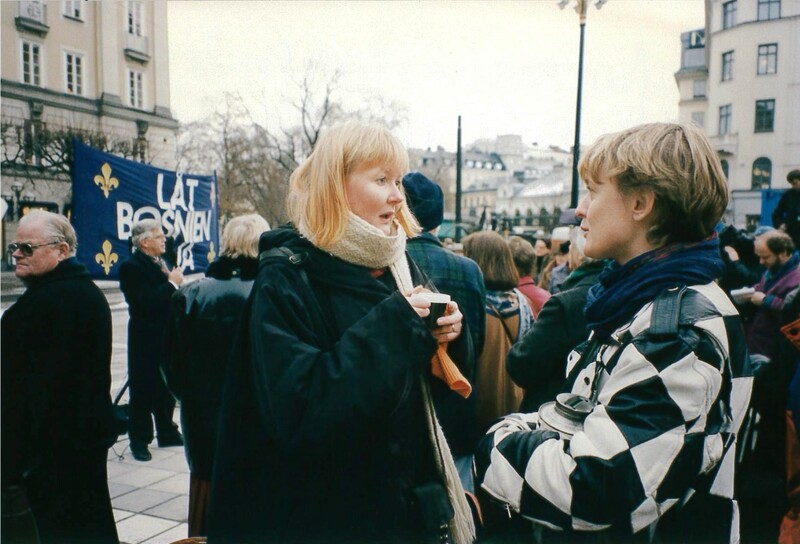 Eva Zillén at one of the gatherings on Norrmalm square in Stockholm, 1993. Eva Zillén paired up with Kerstin Grebäck (soon to become Kvinna till Kvinna’s first secretary-general) and Lena Ag (who would later become secretary-general). They set up a second meeting to talk about steps to take. “This time, only women showed up at the meeting. 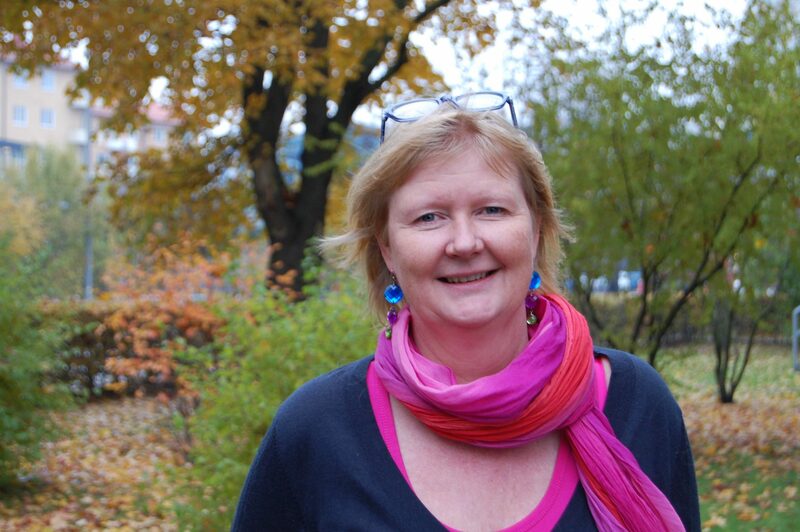 That is why we chose to call our initiative ‘Kvinna till Kvinna,’ Swedish for ‘Woman to Woman,'” Eva Zillén remembers. A few organisations together created a network, backed by the women’s leagues of Sweden’s political parties. Every Friday, people gathered in Norrmalm square in Stockholm to protest against the wars in the Balkans. Kvinna till Kvinna raised money at each gathering. “We figured we needed to raise money, that that was the important thing. Donations streamed in because we were good at getting the word out,” Eva says. Eva Zillén still has an important role in the organisation. Photo: Sara Lüdtke / Kvinna till Kvinna. When Kvinna till Kvinna opened its first office in Split in Croatia, Eva travelled through the region to establish contact with organisations in both Croatia and Bosnia & Hercegovina. Her travels were a good opportunity for different actors to get information from other places. At the time, this was important: telephone lines were often cut and the internet was only in its very early stages. According to Eva, one of Kvinna till Kvinna’s key strengths – which also strengthened the organisation’s credibility – was its way of working. Many of those Eva met, were internally displaced people: refugees in their own country. When people had been forced to flee, many had not had the time to take valuables such as photographs with them. Kvinna till Kvinna helped many get back their prized belongings. “People appreciated that we kept in mind the actual needs of ordinary people. They showed a lot of appreciation for the fact that we paid attention to the small things,” says Eva. Many of the women were well educated and also took pride in taking care of how they looked. When the war broke out, many did not know how long it would last: they had packed as though going on holiday. Because of this, the women in the Balkans did not look like the kind of refugees traditionally portrayed by the media, with heavy bags and dirty clothes.